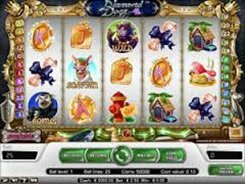 Diamond Dogs is a NetEnt-powered slot with 5 reels and 25 bet lines. 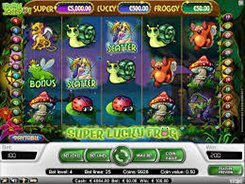 With its theme revolving around dogs, the slot includes the symbols like gem-encrusted golden bowls, VIP hydrants, posh dog booths, etc., all exuding wealth and glamor, with diamond accents everywhere. These dogs definitely know how to live the high life. 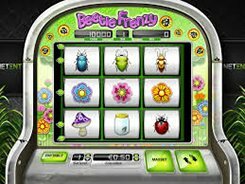 Before a spin you can adjust a coin value from $0.01 to $0.2, the amount of coins per line (1 to 4) and the amount of active bet lines, thus the floor and ceiling stakes are a penny and $20 accordingly. 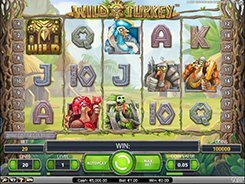 The slot features a wild, a scatter, free spins and a bonus game. A wild symbol represented by the Boxer Dog replaces for other icons and pays out $8000 for five of a kind. 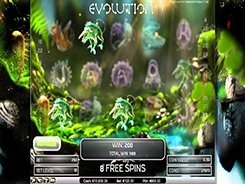 Three or more Glamorous Dog symbols scattered on the reels trigger 10 free spins and pay out up to $2000. A pick ‘em type bonus round will start once you get 3+ Paparazzi Dog symbols on a bet line. In the bonus feature you are to pick items and receive cash awards until an item of your choice reveals the paws symbol that ends the feature.